Bujumbura (Burundi) (AFP) - Burundian President Pierre Nkurunziza has won a predicted but controversial third consecutive term in office, according to official election results announced Friday. 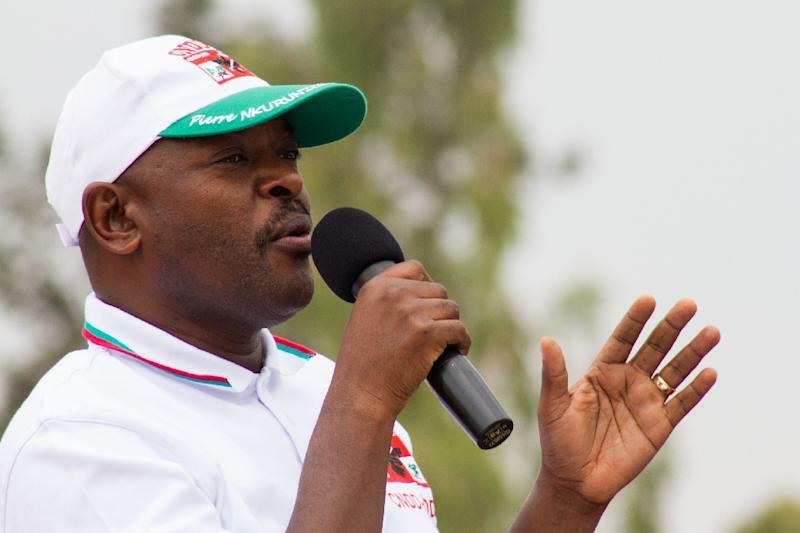 Nkurunziza won 69.41% of the vote in Tuesday's vote, handing him an immediate first-round victory, the election commission said. Nkurunziza's candidacy was denounced as unconstitutional by the opposition and provoked months of protests and an attempted coup in the central African nation. Although eight candidates were on the ballot paper for the presidential polls, most withdrew from the race, with the closure of most independent media preventing them from campaigning. Anti-Nkurunziza protests have been violently repressed, leaving at least 100 people dead since late April. Many opponents have also fled -- joining an exodus of more than 150,000 ordinary Burundians who fear their country may again be engulfed by widespread violence. In mid-May, rebel generals attempted to overthrow Nkurunziza in a coup, which failed. They have since launched a rebellion in the north of the country. In the latest in a string of attacks, four people were wounded in a grenade attack overnight Thursday on the house of an official from Nkurunziza's ruling CNDD-FDD party. The government has dismissed criticism of the poll, which the United States, European Union and former colonial power Belgium said lacked credibility.